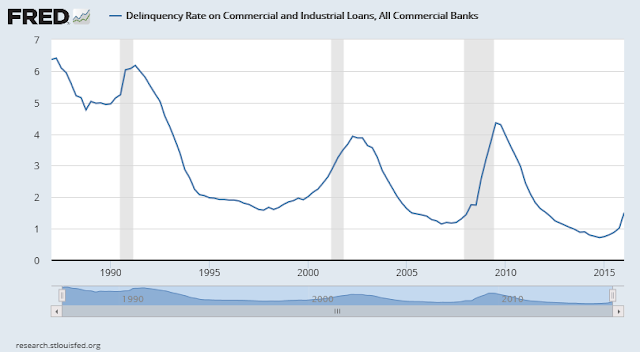 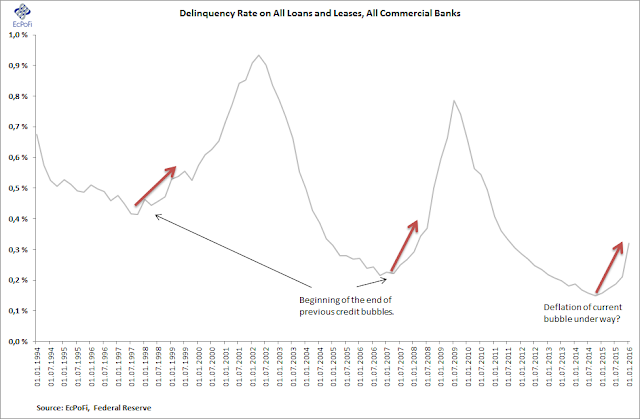 With bank reserves now down 14.8% since July 2014, delinquency rates on the up* and the bank credit growth rate currently 163 basis points lower than in January 2015, it's becoming increasingly difficult to see how the banks alone can manage to help avoid a drop in the money supply growth rate going forward. 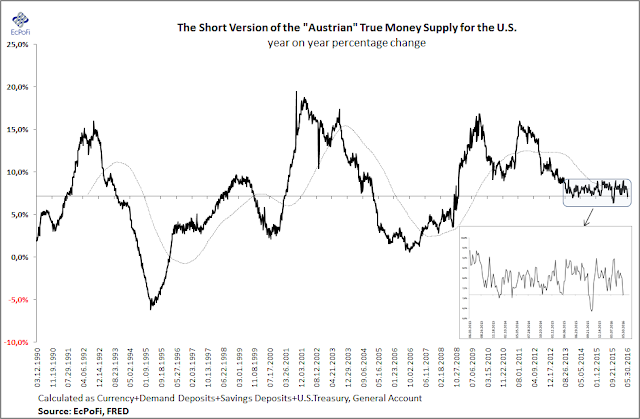 Following perhaps the longest stretch ever with a stable money supply growth rate, it now looks increasingly likely that QE4 will be needed ASAP just to maintain the growth rate (PS: note that I'm not advocating QE**). 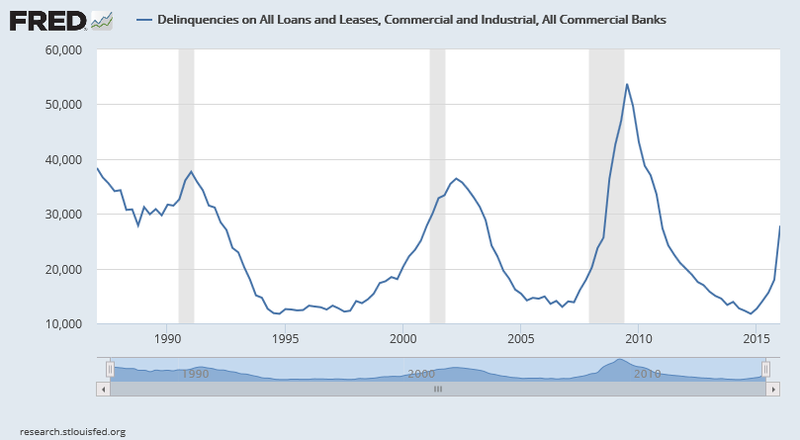 ** Unfamiliar with business cycle theory? Click here for a short introduction.